CHOUKITSU KURUMATANI graduated from the German Literature Department of Keio University. He began writing fiction on the side while working at an advertising agency. 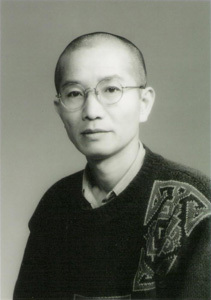 His official debut as a writer came with Shiotsubo no saji (Salt Spoon), in 1992. Kurumatani has carved out a special niche as a writer of the now-rare “I-novel,” an autobiographical genre of Japanese fiction.